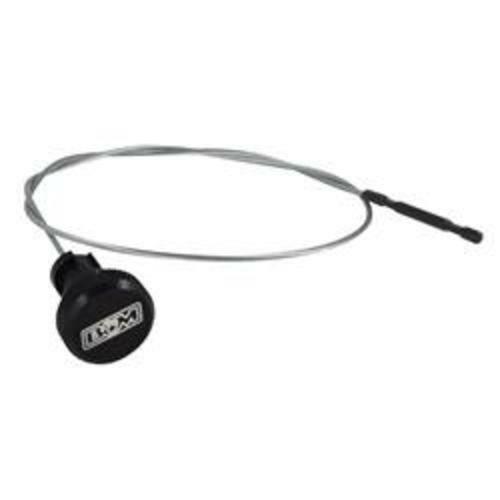 B&M NAG-1 locking transmission dipsticks are designed to allow for a quick and easy check of the automatic transmission fluid level and quality by the vehicle owner, without having to go to the dealership. They're constructed of billet steel and black mil-spec anodized aluminum 6061-T6. The dipsticks allow for both cold and warm fluid level checks and are meant to be left in the vehicle and locked into place. B&M NAG-1 locking transmission dipsticks feature an engraved B&M logo, a locking knurled handle cap, and a temperature range engraved indicator end. Notes: Designed to fit models with V6 engine only.